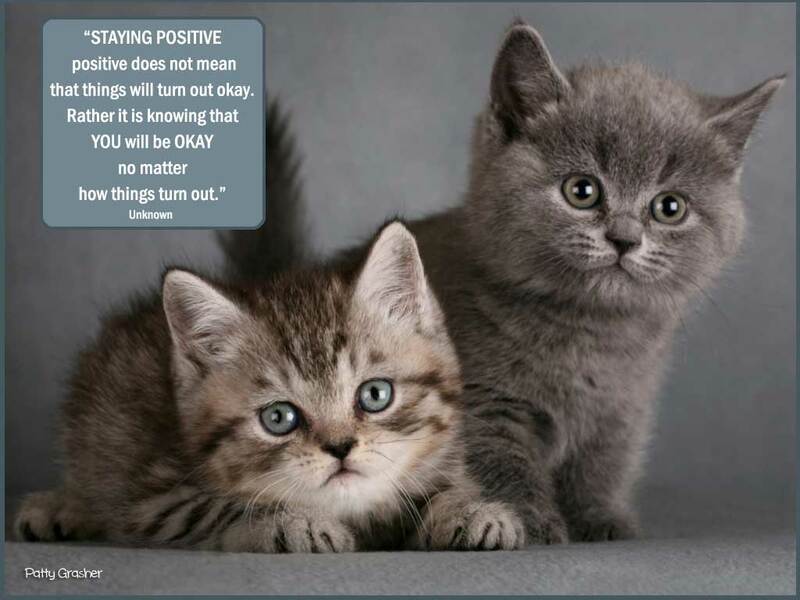 “Staying positive does not mean that things will turn out okay. Just to let you know – sometime back when I went to Spokane for a quick visit via Amtrak, I signed up for a special offer that “said” I would get $100 for signing up for a Bank of America card. Foolishly I thought being Amtrak and a trusted bank (Bank of America) it would be a safe bet. Wrong. Neither the bank or Amtrak knew about such a deal and each said I would have to talk to the other to figure it out. Ha! I never saw the $100 and today the bank wanted me to pay $79 for an annual credit card fee. Nice. Not. The good news is that after a bit of work I managed to get the credit fee removed. Thank goodness for that. Never again will I take up a “special” offer from Amtrak. Nope. That bit of life lesson has been learned. The insightful news is that I got very upset over seeing the bank statement this morning. I had to go work out on weights a bit to cool off so I didn’t yell, snarl and possibly even swear at the person who was to call me back from the bank. It helped a little. I also called my regular bank (Chase) for some advice how to handle it and got very helpful advice from them. Basically I am not any the worse for wear on my pocketbook. Should just have paid the fare price to start with and not think they really wanted to offer me a good deal. Ho. Ho. Ho. I think I need a puppy to hug or a kitten to play with. 1. Glad I got the bank thing straightened out. 2. Glad I finally, finally got back into doing a little weight lifting. Always put it off – even though we have a complete system downstairs I can work on anytime. Do I? No, but I am going to . . . Yeah, right. Glad you were able to get all straightened out with BOA and Amtrak. not a good feeling when something like that happens. Torrential rain here, I went and voted and always feel so good when I leave the Polls, we are so lucky to have the freedom to vote. Yep. glad it is done. We voted a few days ago – we have mail ballots in Washington. Does feel good to vote – I just hope for good results. Very scary the way the country is moving toward so much hate and violence. I voted last night. Good for you…getting something set straight. Chase is my go to also. I had one of those afternoons. Now it’s almost suppertime and my better half is making it for us. The night is young! 😉 May yours be enjoyable. Yep – I’m pretty savvy on most internet scams – just thought a large organization like Amtrak and a bank like Bank of America – would be more upfront and concerned about customer service. Guess not. Anyway very glad I didn’t have to pay their annual fee – and so I am not out anything but a bit of frustration and time.